Pulsair carries the best paint mixer in the market to achieve the perfect paint match in 55 gallon drum, one of the most common containers utilized for production and distribution of liquid products as paint. 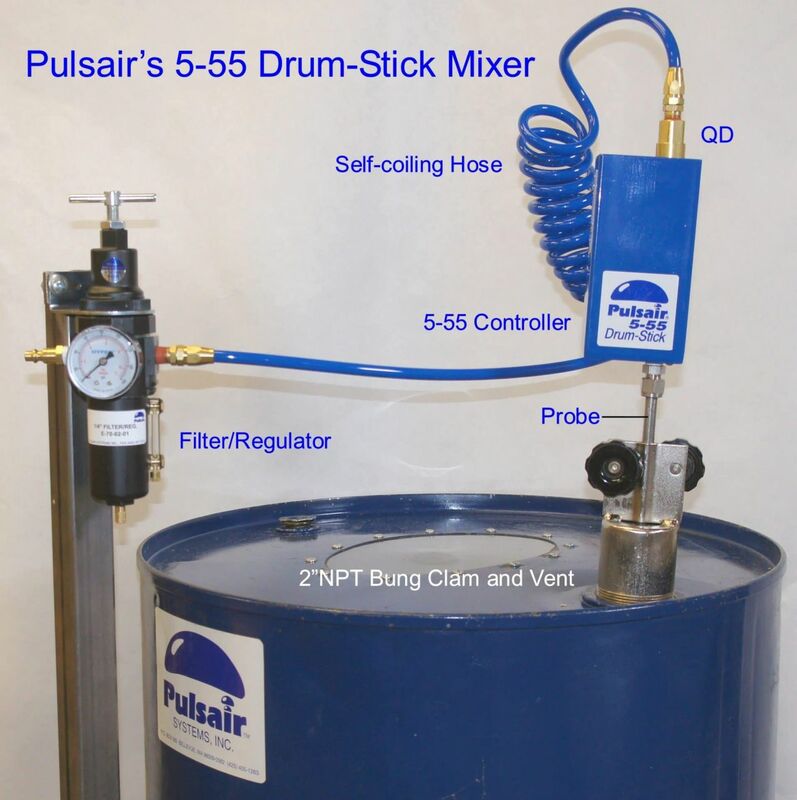 Pulsair, the leading company in the production of mixing tank systems has developed the 5-55 drum mixer stick suitable for paint, inks & coating. This light paint mixer is capable to mix any type of liquids as heavy viscosity and high solid liquids that have separated or settled out, faster and more efficiently than conventional mixers. 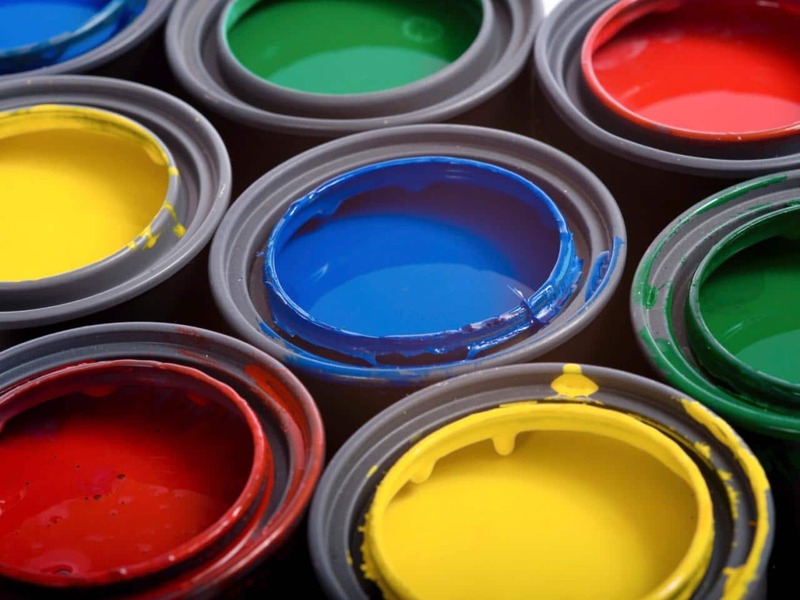 Artist Colors – high solids pigment oil-based paints. Fumed Silica Dispersions – Manufacturers of paints and coatings benefit from purchasing fumed silica in powder form and preparing the dispersions themselves than ordering silica dispersions for which they absorb higher shipping costs. Depending on the maximum viscosity and final grind, various Pulsair’s paint mixers allow manufactures to create these dispersions in-house. Inkjets – in the inkjet industry, the move away from dye-based inks towards pigments-based inks to deliver products of greater resistance to weathering and exposure to moisture, have also demanded mixing equipment that efficiently grinds pigments with reduced or no downstream milling necessary. Silicone Coatings – silicon-based substances are used to create coatings electronics, automobiles, aerospace, medical devices, etc. Specialty Inks – metallic/conductive, fluorescent, security, phosphorescent, and others. Standard Printing Inks – web offset ink, sheet-fed ink, soybean-based ink, rubber-based ink, water-based ink, UV ink, laser ink, process ink for color printing, and others. Steel Activators – coatings applied to steel prior to plating.